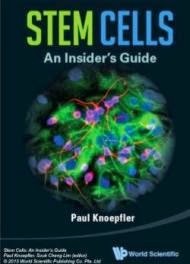 With the plethora of research and published studies on stem cells over the last decade, many would say that the definition of stem cells is well established and commonly agreed upon. However, a new review article appearing in the July 2014 issue of The FASEB Journal , suggests that researchers have only scratched the surface of understanding the nature, physiology and location of these cells. Specifically, the study suggests that embryonic and induced pluripotent stem cells may not be the only source from which all three germ layers in the human body (nerves, liver or heart and blood vessels) can develop. The review article suggests that adult pluripotent stem cells are located throughout the body and are able to become every tissue, provided these cells receive the right instructions. "This study highlights the mutual role of stem cells both for regeneration and in tumor growth by featuring two sides of the same coin: stems cells in cancer and regenerative medicine. Our work provides novel insight on why and how nature has provided us with one universal type of stem cell that is equally distributed throughout the whole body, every organ and every tissue. Small early pluripotent stem cells are ubiquitously located in and around the blood vessels throughout the whole body and serve as a reserve army for regeneration." said Eckhard Alt, M.D., Ph.D., the article's lead author from the Center for Stem Cell and Developmental Biology at the University of Texas MD Anderson Cancer Center in Houston, Texas. In the review, Alt and colleagues suggest that small early pluripotent stem cells are able to replace any kind of tissue in the body--independent of where they comes from in the body--given that these cells receive the correct instructions. When researchers extract these cells from fat tissue, concentrated them and then injected them into diseased or injured tissue, they delivered beneficial outcomes for ailments such as heart failure, osteoarthritis, non-healing wounds, soft tissue defects, muscle, bone and tendon injuries and neurodegenerative diseases. The review also discusses how this is basically the same process that occurs in tumors, except that instead of healing or regenerating tissue, the cells work toward building a tumor. Better understanding and manipulating how these cells communicate not only will open new therapies that heal injury (heart failure, wounds, etc. ), but will allow researchers to stop many cancers before they become life-threatening. "This article suggests that the countless hours spent researching cancer and progenitor cells are finally coming to a head. As the intersection between cancer and stem cell research becomes closer and clearer, all of today's medical treatments will begin to look as crude as Civil War medicine." said Gerald Weissmann, M.D., Editor-in-Chief of The FASEB Journal.